A brief memorial service will start at 11:30 am. 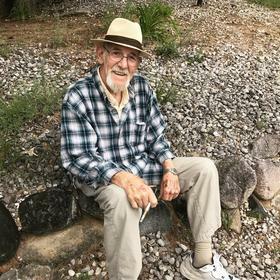 Charles Richard Forwerck, 82 of Traverse City, died December 11, 2018. Charles was born on July 27, 1936 in Toledo Ohio to Charles Edwin and Fallis (nee: Snavely) Forwerck. He married Carol Marie Gray on May 10, 1974 in Traverse City. Charles worked as a glass cutter was in law enforcement and was a MFR Rep and he worked for Libby Owens Ford. He enjoyed camping, traveling in the RV, cruising and watching and playing sports of all kinds. Charles is survived of his wife of 44 years, Carol Marie Forwerck; children, Vicki L. (Fred) Anderson, Gregg C. (Michele) Forwerck, Michelle R. (Bill) Spiers, Corey Randall and 10 grandchildren and Step daughters, Conni Weese and Heather (Mark) Kage. He was preceded in death by his parents; sister, Janet and brothers, Paul Edward, William Robert and James Dennis. An informal gathering will be held from 10 am to 11:30 am, Friday, May 10, 2019 at Life Story Funeral Home, 400 Hammond Rd. W, Traverse City. A brief memorial service will start at 11:30 am. Memorial contributions may be made to Hospice of Michigan. Please visit www.lifestorytc.com to sign the guestbook and share your thoughts and memories with the family.